Great book talking about learning the heart of God and reaching other people. Very challenging! 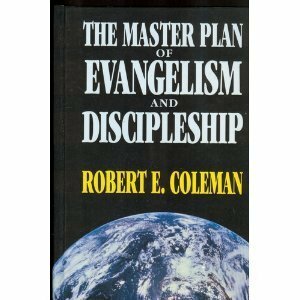 Robert E. Coleman - Robert E. Coleman is widely known for his ministry as a disciplemaker and evangelist, and for many years has given leadership to the Billy Graham Center Institute of Evangelism at Wheaton College, along with the International Schools of Evangelism. He is the author of 21 books, including bestseller The Master Plan of Evangelism. Translations of one or more of his books are published in 100 languages. He and his wife, Marietta, reside in Deerfield, Illinois. They have 3 grown children and 7 grandchildren.